Saturday, July 12, 2:45 p.m.
Sunday, July 20, 4:45 p.m.
Saturday, July 26, 1:45 p.m.
Review: DC Theatre Scene calls it "a hoot and a half!" Review: DC Metro Theatre Arts says "Would that all elections were as much fun!" Review: The Washington Post nails our goal by saying "[the show] teach[es] the students something about individual responsibility and the democratic process." Review: The City Paper says "It is not hard to like the Federal Theatre Project, and The Inaugural Election does not squander that goodwill." Six 6th graders are running for class president and you will decide the winner! This sometimes-interactive, all-ages comedy allows the audience to examine the absurdities of modern day elections through the eyes of children. Luke is thrilled to be making his Federal Theatre Project debut. Other recent credits around DC include Wonderful World of Dissocia (Theatre Alliance), In the Forest, She Grew Fangs (Washington Rogues), Romeo and Juliet (Brave Spirits) A Maze (Rorschach Theatre), and Holly Down in Heaven (Forum Theatre). In October, Luke will be appearing in Taming of the Shrew with Pallas Theatre Collective, where he is also a Collective Member. 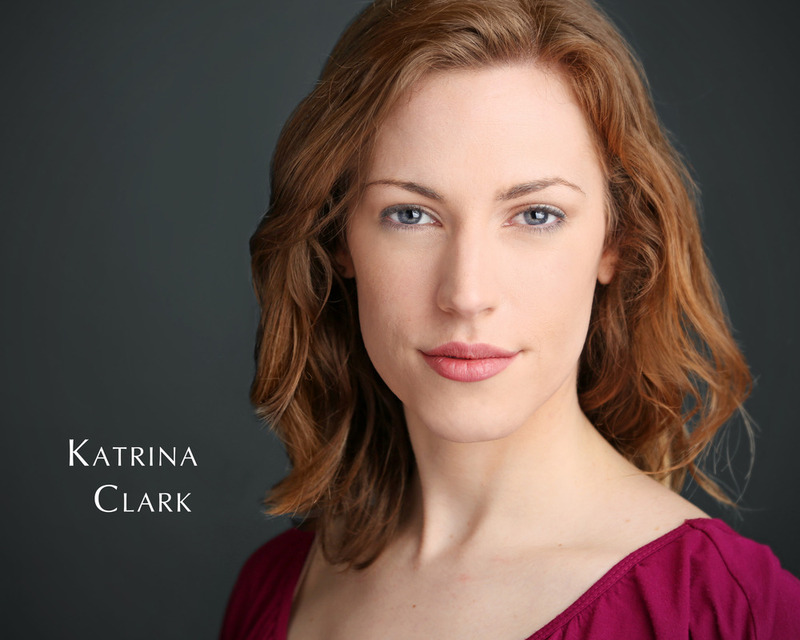 Katrina Clark is delighted to be making her Capital Fringe debut with the Federal Theatre Project. Recent credits include: mercimax's U.S. performance of Coffee & Prejudice (from Switzerland, partnered with Shakespeare Theatre Company); Half-Mad Theatre's As You Like It; Synetic Theater's A Trip to the Moon (directed by Natsu Onada Power), The Three Musketeers (U/S), and The Tempest (U/S). Other festivals include: LiveArt DC's LiveArt in a Day and Rorschach Theatre's Klecksography. Katrina studied under B. Filshtinsky's abbreviated laboratory at St. Petersburg State Theatre Arts Academy in Russia and Gallaudet University. She is fluent in American Sign Language. Lewis Freeman divides his time between acting and singing. He has performed more than 65 roles on stage. As an actor he is an Associate Artist with Constellation Theatre, where performances have included Women Beware Women (Fabritio), Three Sisters (Ferapont) and A Flea in Her Ear (Baptiste). As a singer, Lew’s credits include opera, musical theatre and concert settings. 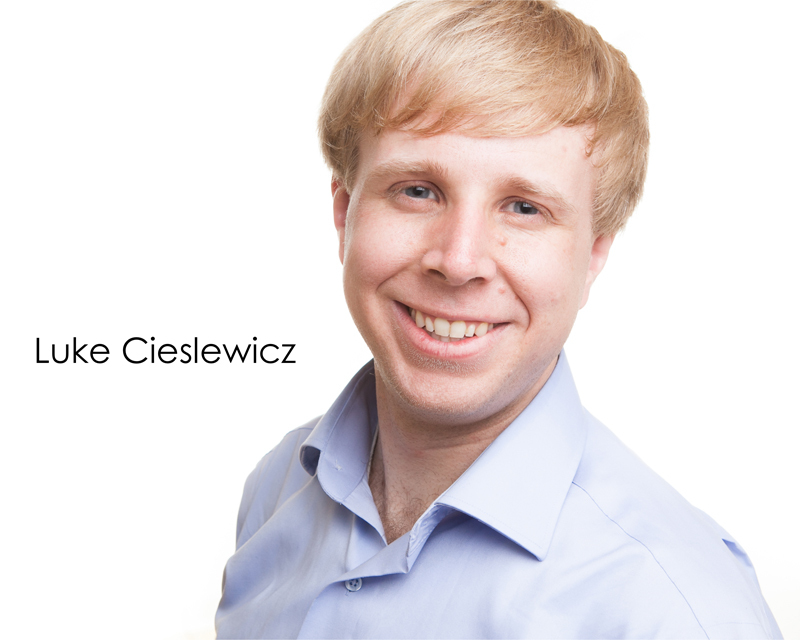 He has soloed with the Washington Bach Consort, Cathedral Choral Society, Capital City Symphony, IN Series, New Dominion Chorale, Opera Theatre of Northern Virginia and Washington National Opera, among many groups. His roles have included Pasquale in Don Pasquale, both Figaro and Bartolo in The Barber of Seville (but not in the same production) and Melchior in Amahl and the Night Visitors. Recent appearances have included Puccini’s Gianni Schicchi and La Boheme, Arlen Blues and Berlin Ballads and Gilbert and Sullivan and the D'Oyly Carte Tradition. Current projects include two recital programs: Hugo Wolf’s song cycle The Italian Songbook, and Songs of Travel and Romance. Lew also teaches voice. More at www.lewisfreeman.com. He thanks the Federal Theatre Project for permitting him to return to the classroom in his autumnal years. Stefanie Garcia is delighted to return to the Federal Theatre Project. Past credits include Living Out (Gala Hispanic Theatre), The Wedding Dress (Spooky Action Theater) The Motherf*cker With the Hat (U/S, Studio Theatre), Someone to Watch Over Me (Federal Theatre Project), Breaking Up With ED (Capital Fringe 2012), High Fidelity—A Musical (Marie la Salle, Landless Theatre Company), Las Aventuras de Tio Conejo (Synetic Family Theater). Stefanie is a graduate of NYU’s Tisch School of the Arts and the Lee Strasberg Theatre & Film Institute in New York. Regional: Quotidian Theatre Company: The Iceman Cometh (Pearl); Source Festival: Riot Grrrl Reunion (Hermione Maimher); Adventure Theatre: Winnie the Pooh (Piglet\Roo), Babe (Ma); 1st Stage: Parfumerie (Fritz); Wayward Theatre\Flying V: Incurable (Greta); Molotov Theatre Group: An Adaptation of Julius Caesar (Cassius), Morgue Story (Ana), The Horrors of Online Dating (Mittens); WSC Avant Bard: Richard III (Duke of York). Training: Bachelor of Music in Musical Theatre, Catholic University. Matthew Marcus is excited to be here! His recent performances include: See No Sun; Killer Joe (Chris). Venus Theatre; 731 Degraw Street (Charles Goodrich), Gift of Forgotten Tongues (Mutagen), Devil Dog 6 (Foner). Thanks for coming. Momo Nakamura is thrilled to be back for CapFringe as a part of this awesome team! Previously she has worked at Spooky Action Theater, Cumberland Theatre, Discovery Theater, Landless Theatre Company, The American Century Theatre, LiveArt DC, Capital Fringe(R.U.X. and Captain Freedom), Hope Operas, Maryland Ensemble Theatre, Chesapeake Shakespeare Company, Baltimore Shakespeare Festival, Venus theater, Arena Stage, Centerstage and Tsunami Theatre Company. She is a member of SAG-AFTRA and LTC artistic associate. Carol Randolph was last seen in The Cripple of Inishmaan at First Stage (Eileen). Other credits include King Lear with Stacy Keach (Shakespeare Theatre Co), By the Bog of Cats (First Stage), Eccentricities of a Nightingale (American Century Theater), The Women of Lockerbie (Maryland Ensemble Theatre), The Front Page (Chesapeake Shakespeare Company (Mrs. Grant) , Dorothy Meets Alice at Adventure Theatre (Queen of Hearts), Flowers for Algernon at Landless Theatre (Mother). Films: Book of Lore, Women's Studies, Haze, Plus One. She believes her long-lost childhood hamster is still living in the walls of her house; if you know otherwise, please keep it to yourself. Kevin Finkelstein (Writer/Director) is the Founding Artistic Director of the Federal Theatre Project, as well as the Co-Founder of LiveArtDC and the Associate Director for Lean & Hungry Theater. He is also an Executive Producer for Frozen Penguin Productions. Past directing favorites include Someone to Watch Over Me (Federal Theatre Project), Julius Caesar, Romeo & Juliet, Hamlet and MacBeth (Lean and Hungry Theater), Fat Men in Skirts and The Horrors of Online Dating (Molotov Theatre Group) and The Good Woman of Setzuan (Assistant Director, Constellation Theatre Company). This fall he will be touring Election to various underserved areas of the city at no cost, directing Oedipus the King for Lean and Hungry Theater, and filming an original webseries in conjunction with Tarakata Films. Follow along with his adventures at kevinfinkelstein.com. Peter Caress (Lighting Designer) is happy to be working with Kevin and Federal Theatre Project again after designing last year's Someone To Watch Over Me. Other lighting design credits include Bang the Drum Slowly (The American Century Theater), Everyman (Edge of the Universe Players 2), Stop Kiss (Peter's Alley Theatre), The Seafarer (Quotidian Theatre) and Freakshow (Pinky Swear Productions). He is a graduate of Dartmouth College. Catch his other two Fringe shows (they're just as awesome as this production! ), Porch and Chesapeake. Chelsea Cranshaw (Stage Manager) is thrilled to be joining Federal Theatre Project for her first show with the company. Chelsea works at George Mason University Center for the Arts as the Assistant Artist Coordinator/Assistant Stage Manager. Chelsea is also the Company Manager of Flying V and has stage managed such shows as Flying V Fights and William Shakespeare’s Star Wars. Last year she served as a Stage Management Apprentice at the Olney Theatre Center where she worked on shows such as: Cinderella, Spring Awakening, and the Helen Hayes Award winning A Chorus Line. Chelsea holds a BA from Florida State University. She would like to thank Kevin for all of the support and Bob for always believing in her. degree in Directing and Dramatic Literature. Heather Whitpan (Costume Designer) is happy to return to FTP for another exciting fringe festival. Most recently, Heather costumed all of the 18 10-minte plays for the 2014 Source Festival. She has also costumed for Molotov Theater Group and Pinky Swear Productions. Heather is the co-Artistic Director/Founder of LiveArtDC and is producing R+J: Star-Cross'd Death Match for the Capital Fringe. If you like beer, Shakespeare, stage fights, love and death, then you should head on over to DC Reynolds!